Have you noticed anything different about your local Walgreens? If you live in the St. Louis area you may have! 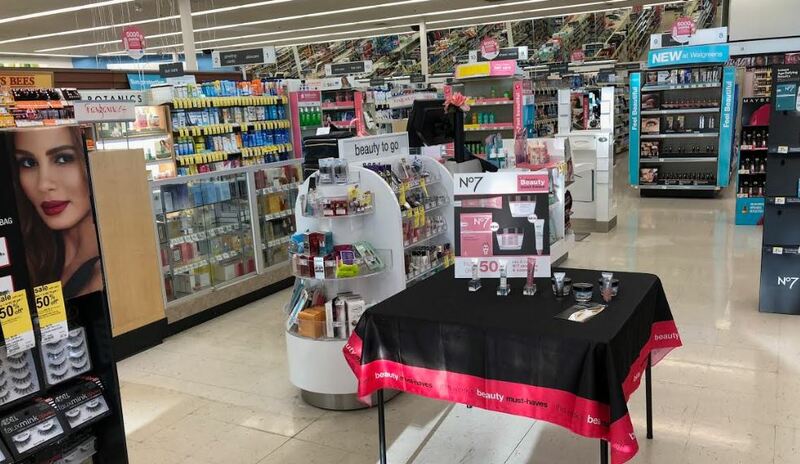 Walgreens has recently launched a new Beauty Differentiation format in local stores. 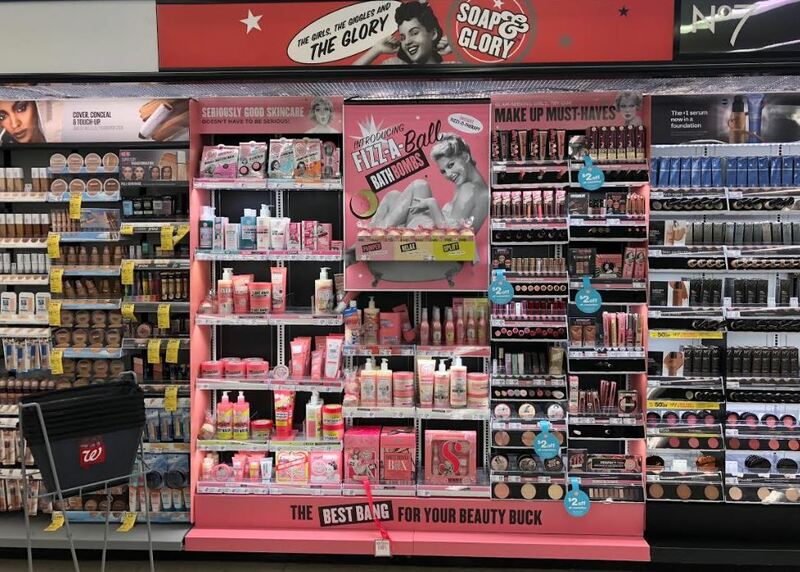 These beauty-differentiated stores offer a more personalized shopping experience with trained, in-store beauty consultants, improved lighting, testers and samples, broader offerings on brands, a rewards program, and more. One of the first things I noticed changing was the selection of beauty products! My store has added new differentiated brands, including No7, Soap & Glory, YourGoodSkin, CYO, Sleek MakeUP, and NYX. I’ve heard wonderful things from friends regarding No7 if you haven’t tried it from the sound of it it’s worth trying and the price is excellent as compared to other highly rated brands. Every $50 spent on beauty gets you 5000 points. * That includes all your favorite cosmetics, skin care, hair care, oral care and grooming products. Best of all, every little purchase adds up! And, as part of Balance® Rewards, points can be redeemed on almost anything, so you can get more of the things you love. When you sign up, we’ll email you a digital coupon for 20X everyday points on beauty! So now’s the time to treat yourself to that special something you’ve had your eye on. You’ll also be part of the in-crowd that receives exclusive promotions and invites to sampling events throughout the year. We spoil our beauty enthusiasts with insider info. And when you complete your beauty profile online, we’ll send you personalized product recommendations too. The new beauty-differentiated stores are also offering personalized consultations from trained beauty consultants, no appointment necessary. -Start with a great primer that will create a smooth canvas for makeup application and ensure your foundation stays in place on your face. -My favorite is the No7 Airbrush primer $19.99. -Make sure to select a lengthening, waterproof mascara that can withstand a pool day. A great option is L’Oreal Paris Voluminous Lash Paradise Waterproof Mascara $9.99. -With all the pictures, eating, and drinking, you want a lipstick that will last from all day. Select a rich option that has staying power. Matte formulas are a great choice. I always recommend Maybelline Color Sensational Vivid Matte Liquid Lipstick, $8.29. You can check to see if your store offers these additional beauty perks on the Location Finder. 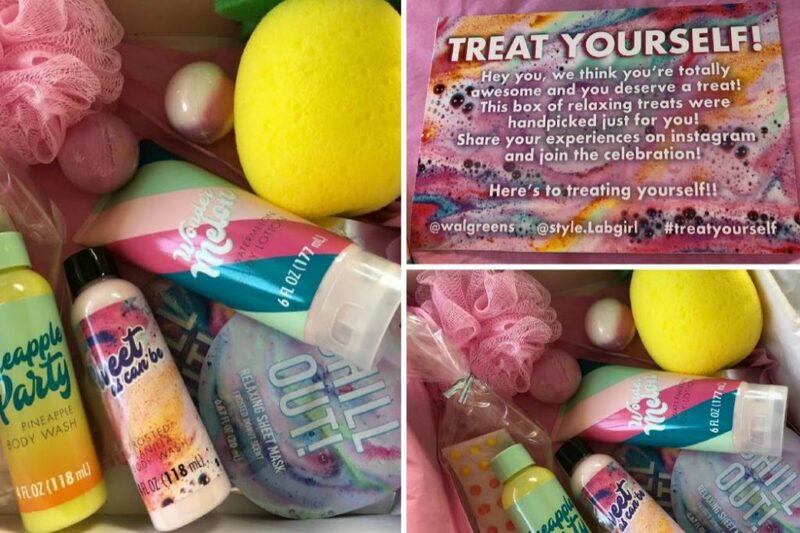 In honor of the new beauty-differentiated stores in St. Louis Walgreens is giving 1 lucky STL Mommy reader a Summer-Themed Beauty Box which includes some of the new products you’ll find at your local store! Just leave a comment telling us why you love your local Walgreens or what you’ve noticed different about your local stores and the winner will be chosen at random and notified on August 7th.